Are you looking for the perfect self catering holiday cottage for you and your dog? Why not try LovetoEscape's selection of dog friendly cottages in the Lake District. The Lake District is England's largest National Park and home to Scafell Pike, the highest mountain and Wastwater, its deepest lake. It is the perfect location for a holiday with your dog. The National Park offers great dog friendly walks, glittering lakes, fells and mountains for you and your dog to explore. Grizedale Forest to the east of Coniston Water is popular with dog walkers as it offers walks to suit all abilities and all dogs. The area is also home to Keswick, voted most dog friendly town in UK in 2012 by the Kennel Club. 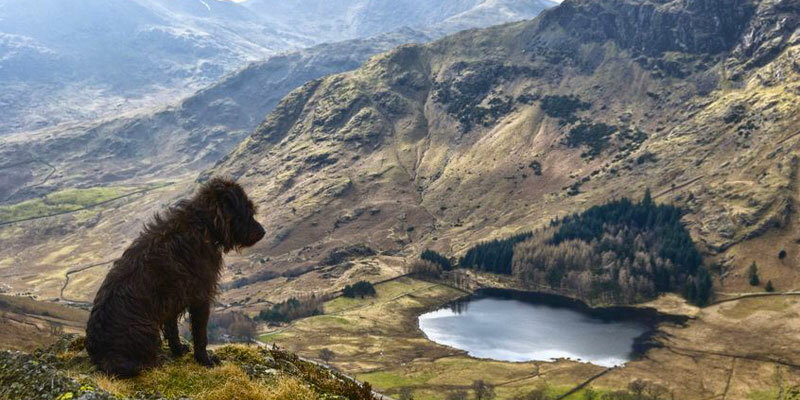 Many attractions in the Lake District also allow dogs, so you, your family and dog can experience some of the many attractions the Lake District has to offer. Muncaster Castle in Ravenglass allows dogs on leads in the gardens and owl centre. Everyone in the family can also explore the Lowther castle and gardens near Penrith as Children and dogs are free! Many of the local pubs allow dogs but please call ahead to make sure. Stay in one of our many pet friendly cottages in the Lake District and enjoy everything the area has to offer for you and your dog. Self catering cottages are an ideal choice of accommodation to cater for the needs of dog owners. We also have a range of dog and pet friendly cottages around the UK, please browse our pet friendly page to find a holiday cottage to suit.